Half-way around the world I am and there before me is . . . Vanessa cardui, the Painted Lady butterfly. Scholars remind us that this Vanessa is one of the most universal of butterflies, found in many parts of the world. 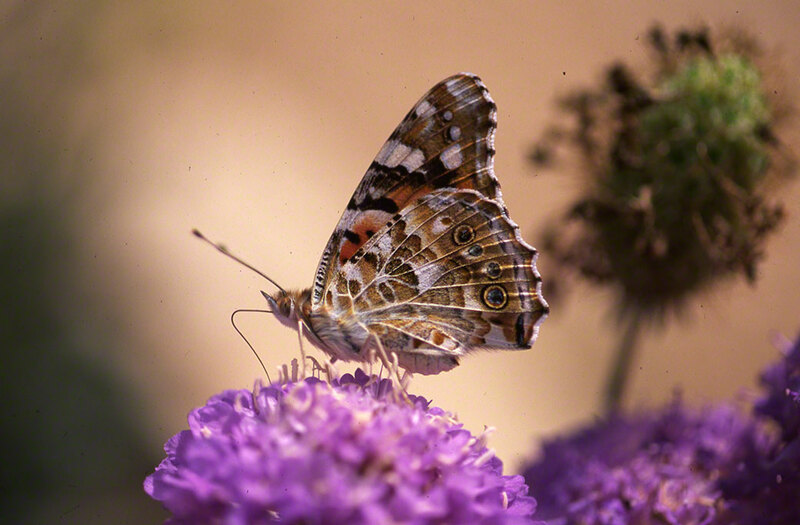 Our Painted Lady here is nectaring at Ramat Hanadiv, an exquisite arboretum in central western Israel. As with all Painted Ladies, they are speedsters and territorial. This individual is so focused on obtaining nectar that we can approach for our macro- shots. Amazing, 6,000 miles from Pittsburgh and greeted by the very same Vanessa cardui. Do they migrate as they do in the U.S.? Hmmm, the Israeli field guides are all in Hebrew.